The best gift is "The gift of HEALTH"
Kovai Medical Centre and Hospital (KMCH), Coimbatore. Health awareness has acquired a new meaning in the present millennium and so also the high incidence of diseases. Health has always been held as a priceless asset and periodical health checkup is mandatory in developed countries. We, at KMCH are promoting health awareness on a larger magnitude through the Master Health Checkup programs. 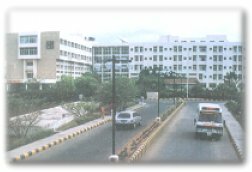 Kovai Medical Center is 350 bed multi-disciplinary super speciality corporate hospital. It is situated in the Coimbatore-Chennai high which is easily accessible to the Coimbatore Airport. It is a premier health care. Super speciality procedures like Open Heart surgeries, Kidney transplantation, Complex ortho and Brian tumor surgeries are done regularly at the hospital. The hospital offers an excellent healthcare service and has made a break through in the treatment of Interventional procedures in Neurology, Cardiology and Radiology. 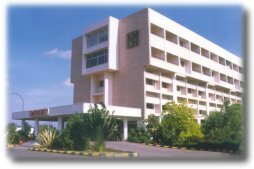 It is India's second successful corporate hospital and has earned the trust of thousands of people with its extraordinary commitment and exceptional service. It rededicates itself to broaden its spectrum of services to bring health and happiness to more and more people. Master Health Checkup Program: KMCH is a Pioneer in providing comprehensive package of health Checks to ascertain that one stays in the pink of health. Driven by a combined philosophy of Diagnostic and Preventive Medicine with apt Medical Management, the entire exercise is spearheaded by a Senior Consultant Physician with a committed team of other Medico-Surgical Specialists who dare to think beyond the confines of a rigid protocol. The state - of - the art medical equipment augments quality patient - care. KMCH's HEALTH CENTER has 15 different Master Health checkup programs in it's protocol. It is the Executive Master Health Checkup (EMHC) that is usually recommended as it is a wholesome program. EMHC comprises various tests evaluating the different systems in the human body - the heart, liver, kidney, lungs etc. Test carried out include Blood tests for Kidney, lungs etc. Test carried out include Blood sugar, complete analysis of urine & motion, Chest Skiagram and Abdominal Ultrasonogram. EMHC has also ENT, Dental and Eye checkups by the concerned Consultants. Checkup is available at KMCH, which is situated near Coimbatore Airport. The card will have necessary instructions to take the checkup. The card is valid for 3 months: let your dear ones kindly intimate the day of visit to the HEALTH CENTER to avoid unnecessary delay. Let them contact HEALTH CENTER, KMCH for appointments and inquiries on any weekday between 8 a.m. and 6 p.m.
On the day of the medical examination one is required to come between 7.30 and 8.30 a.m. on an empty stomach (Midnight Fasting) and to bring a little sample of stool in a small clean container. Plain water can be taken in the morning. Regular medications other than diabetic drugs can be taken on that day. Do carry the old medical records, if any. Note: A comprehensive health checkup doesn't require hospitalization and the individual can leave by 6 p.m. with the medical reports in hand. The Consultant physician will suggest if there is a need for any other consultation or investigation. The health checkup program is carried - out on all weekdays except Sundays. The checkup includes morning tea and lunch at cafeteria.